iOn™ Nylon 6 Alloy was created to bring practical functionality to the 3D Printing experience. 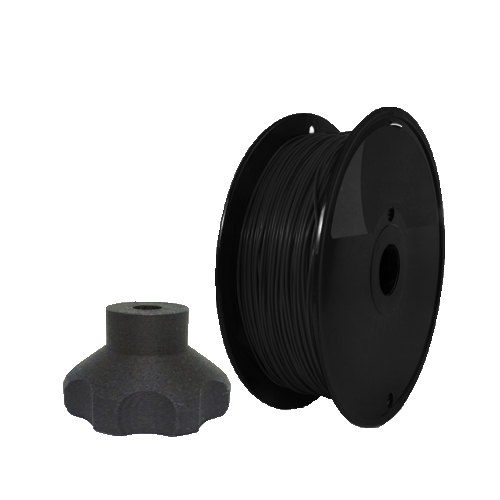 iOn™ is an engineering grade material that can be used in demanding applications where PLA and ABS fail due to shortcomings in mechanical, thermal, or chemical performance. Select iOn™ Nylon 6 Alloy when you want to create parts that focus on functionality, not just fit and finish. Manufactured in the USA from virgin resins selected specifically for 3D Printing. We use state-of-the-art resins, colorants, manufacturing technologies to give you the best possible printing experience. iOn™ Nylon 6 Alloy has improved chemical resistance vs. ABS. This creates wider opportunities for prototyping demanding applications in a number of industries. Extruder: 240-270°C (ideal layer bonding at 260-270°C), or even hotter if you have an all-metal hot-end. However, do not exceed 300°C to avoid the onset of polymer degradation. Please note: that if you have layer bonding issues, this is a typical sign that you need to use higher extruder temps. Bed Temp: 100-110°C. This Nylon alloy has a Tg of 105°C, which is higher than most competitive nylons on the market. Therefore, our bed temp recommendations may be higher than what you’re accustomed to when printing with other nylons. Bed Prep: Ideally use Polyimide Tape & ABS/Acetone Slurry [together] or any surface you’ve been using with nylon-based filaments. Please note that acetone has difficulty dissolving iOn™ and standard ABS should be used to make the slurry. We typically do not use a fan when printing with iOn™ and have had better success with printers that have an enclosed build area (to keep some heat in). 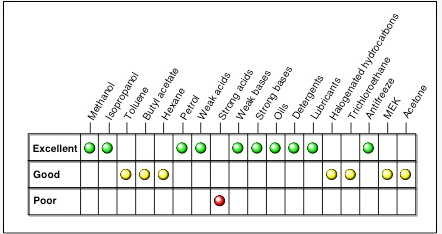 Drying: iOn™ is an alloy of Nylon therefore absorbs more moisture that what you may be familiar with. If the filament is stored in humid environments for an extended period of time – it will absorb moisture. While not in use, we recommend storing iOn™ in our Mylar pouch HERE. However, if drying is needed (you hear popping noises during printing – generally water boiling off from the resin), then we recommend drying in an oven at 175°F (F, not C) for 2-4 hours. We use a dedicated oven for this purpose and do not recommend using the family oven!! Try a toaster oven – your family will thank you for not turning dinner into a science experiment.